This year, officials said, the Systempro line, which boasts Compaq’s recently unveiled I/O TriFlex architecture on the high end, will be armed with Intel Corp.’s powerful Pentium processor, Novell Inc.’s NetWare System Fault Tolerance (SFT) Level III software, a smattering of new diagnostic tools and intensified support offerings from Compaq. By tapping into the power of Intel’s forthcoming 3.1 million-transistor Pentium processor, Compaq will be able to nearly double the data-processing power of its Systempro server, officials said. The four-Pentium symmetric multiprocessing server Compaq plans to release this year should exceed a rating of 350 TPC-B, a transaction-processing benchmark defined by the Transaction Processing Performance Council, Compaq officials said. It will offer a 60 percent to 80 percent performance improvement over the two-Pentium server that Compaq also plans to offer this year, officials said. With a base price below $22,000, the four-Pentium server will be an industry leader in price/performance, the officials said. In contrast, a Digital Equipment Corp. (DEC) six-CPU VAX 6000 Model 560 minicomputer running an Oracle 7 database rates 315 TPC-B, with prices that start at about $400,000. DEC has yet to release benchmarks for servers based on its recently released Alpha chip. In the past, some users who wanted fault-tolerant computers may have dismissed Compaq’s machines. Not in the future, thanks to Novell’s NetWare SFT III software, according to Virgil Hornstein, director of systems marketing at Compaq. Two servers can be linked together with SFT III, so if one server fails, the other takes over. At the same time, Compaq officials said they want to improve their support for server customers. Once criticized for leaving support and service to its dealers, Compaq now picks up much of the work itself. Last year, it began offering a free three-year on-site warranty and 24-hour, seven-day telephone support for hardware problems. 1993 will also be a year in which Compaq continues to push its technology. The company is already tuning its high-end servers so it can take advantage of Intel’s next-generation processor, the P6, according to company officials. Yet some analysts question Compaq’s mini-vanquishing claim. The computer landscape has changed considerably since Compaq introduced the Systempro in 1989. What was once the minicomputer market is now populated by a growing variety of midrange servers that raises new competitive challenges to Compaq, the analysts said. Compaq is being challenged by PC makers, such as AST Research Inc., that have added muscle to their server lines, and workstation vendors, such as Sun Microsystems Inc., that plan to deliver powerful new multiprocessing servers this spring. Traditional minicomputer makers, meanwhile, are retrenching to position themselves in the booming LAN market. DEC, for example, plans to run Microsoft Corp.’s forthcoming Windows NT on a PC server with the powerful 64-bit Alpha microprocessor. And Hewlett-Packard Co. officials have said that Novell’s NetWare network operating system will run native on their powerful HP 9000 Unix minicomputers later this year. Meanwhile, others in the super server category, including NetFrame Systems Inc., Tricord Systems Inc. and Parallan Computer Inc., are far from standing still. They are also expected to use the Pentium to push harder into the midrange market. 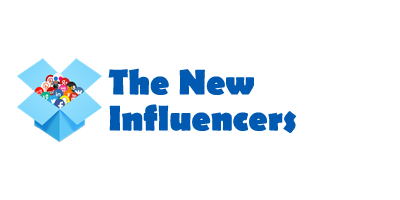 “Pentium is not going to mean a lot for [Compaq] because other vendors will be in lockstep [bringing out Pentium products] with them,” said Brad Day, an analyst with Dataquest Inc., a market-research firm in San Jose, Calif. So far, the Systempro has cornered 6 percent of the midrange market (see chart, Page 77), according to InfoCorp, a market researcher based in Santa Clara, Calif.
For Compaq servers to gain a broader share, users must consider them effective as an application server, rather than just a file server, according to Thomas Kucharvy, president of Summit Strategies Inc., a Boston-based market-strategy firm. About 85 percent of all Systempros are sold as file servers, he estimated. “They need to be able to go into a customer and say, `Here is a solution. We will work with you until it’s up and running,'” he said. Vendors with roots in the minicomputer or mainframe world know how to sell customers a turnkey solution because they have strong sales forces, Kucharvy said. Compaq, like other PC companies that rely on resellers, lacks that ability, he said. I have been using Compaq for a number of years and every time the company releases something new, I am always impressed! Our company is a solid Compaq client and I am a huge fan. SystemPro just really couldn’t hack it. Kind of a half-assed operation, frankly. While this is an innovation in the server growth, the market can still offer better options. 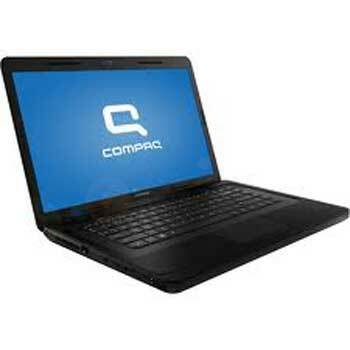 Compaq is indeed an established company but it still has to work hard to be a step ahead from its competitors in the flourishing LAN market.